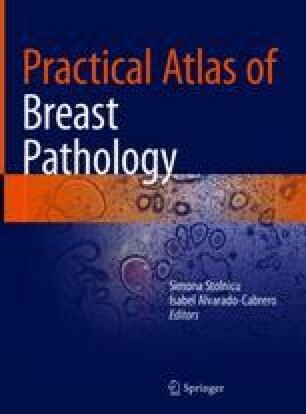 A number of conditions can lead to metaplastic or proliferative changes in the myoepithelial cell layer of the breast, resulting in a variety of benign and malignant myoepithelial cell lesions. Nonneoplastic myoepithelial lesions are common, often observed as an incidental finding in the breast, and include myoepithelial hyperplasia, sclerosing adenosis, and collagenous spherulosis. Myoepithelial neoplasms are uncommon and include adenomyoepithelioma, malignant adenomyoepithelioma, and myoepithelial carcinoma.